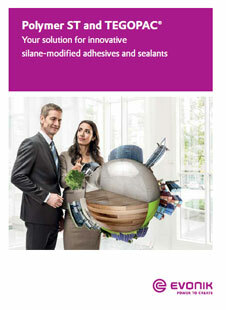 Polymer ST 81 by Evonik is a high quality plasticizer-free silane-terminated polymer. Offers high tensile strength combined with exceptional surface hardness after curing. It allows the formulation of both tin- and phthalate-free products. Furthermore, its excellent build-up of strength up to 10 N/mm2 while being manually applicable makes it an interesting product to replace one component and two-component polyurethanes. 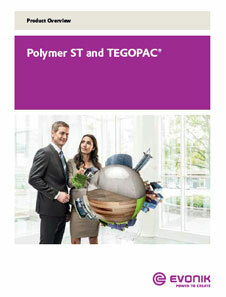 Polymer ST 81 is suitable for high modulus adhesive formulations. Potential markets include wood construction, transport and automotive, assembly as well as light-weight construction. It has a shelf life of 9 months.